Classic Wisconsin Fish Fry Scale: 4 points out of 5, a Classic Wisconsin fish fry. Waverly Beach is an interesting place. The sign is a colorful 90's theme that can't be missed and the building looks like a large pole building. It's worth noting that the "shed" area is a banquet hall for weddings and parties, and on occasion features local live bands. In the summertime, there is a large outdoor bar and dining area that is very popular for relaxing on the beach or docking your boat for some drinks and food. But it's winter now and the patio wasn't open. We arrived at 7:30pm and it wasn't very busy, so there was no wait for a table, but we did have to wait for our friends to arrive, 6 of us in all. The brandy old fashioneds were not muddled and hastily made, but tasted fine. A few drinks and the arrival of our friends, we waited for a hostess to seat us in the dining room. The dining room was mostly empty, so service was prompt. We all got one of the Friday fish options. The perch was pretty good, the breading maybe a touch thick, but nicely done. The fries were cooked decently, and the coleslaw was homemade but lacked the flavor I was looking for. The waitress commented they normally have really good coleslaw but just didn't quite taste right tonight. 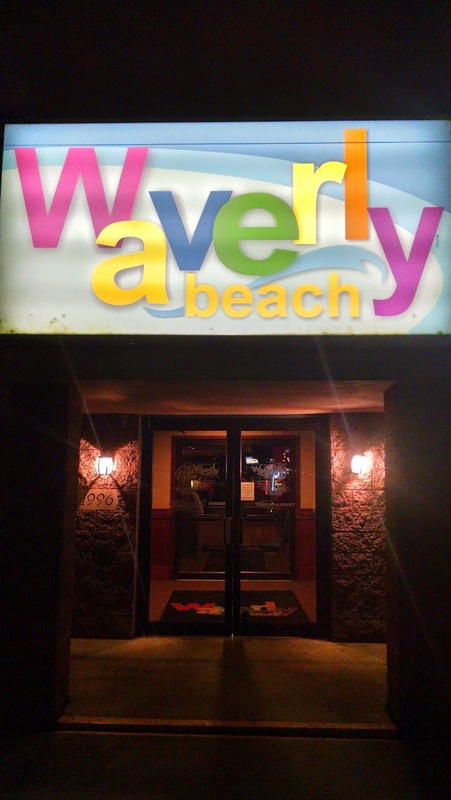 While Waverly Beach lacks the ambience of a good food establishment, they do have a good fish fry so its worth a visit. In the summertime, I highly recommend soaking up the sun on their outdoor patio, lot of activity and worth a visit on the weekend. 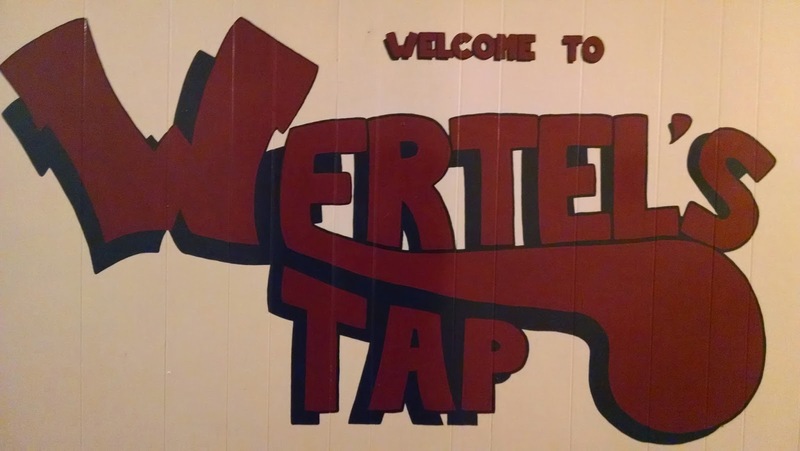 Wertel's Tap has an unassuming exterior, sort of looks like a converted house, and is just a hole in the wall tavern on the East side of Green Bay. I doubt we would have chosen it by ourselves, but was recommended to us by a friend. We arrived for a late fish fry, about 8:00pm, on Halloween night and the tavern bar was busy but the dining room had mostly cleared out. The staff was dressed in Halloween costumes. 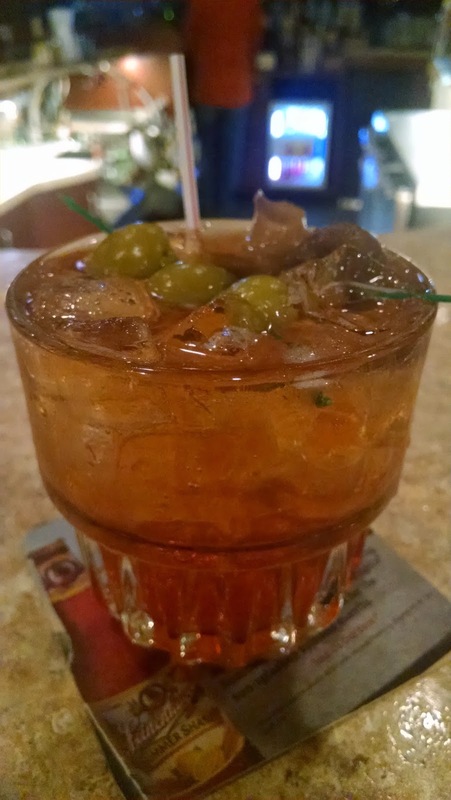 We ordered our brandy old fashioneds, and while they weren't muddled, each one tasted great. We were presented with menus at the bar and took our time to place our order. When our food was ready, we were directed to our table. The food came out right after we sat down, and our bill was presented with our meal, along with 2 blue tickets. Wertel's gives each patron the opportunity to put their name in for a free meal raffle, you just have to call in and see if you won, and you come back for your free meal on Wertel's. The perch plate was delicious. The fish was excellent, perfectly fried and lightly breaded. I chose the german potato salad, it was served warm, and was wonderful, it was definitely homemade. The cole slaw was good, and the meal was topped off with a slice of rye bread. 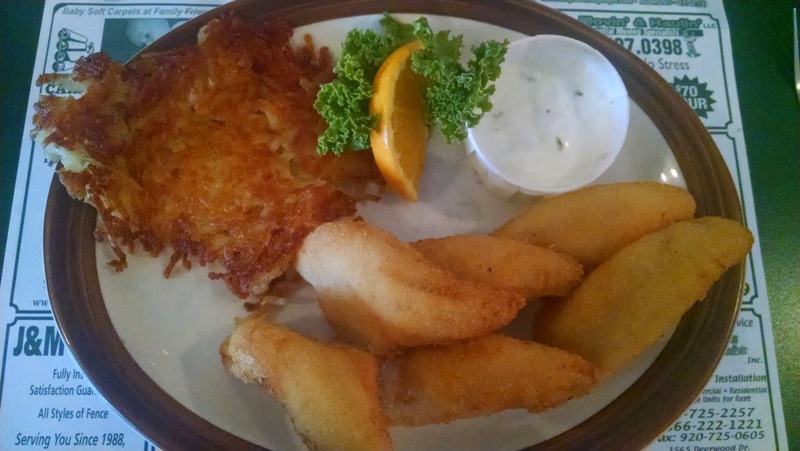 Wertel's Tap is a tavern that embodies the Classic Wisconsin Fish Fry. 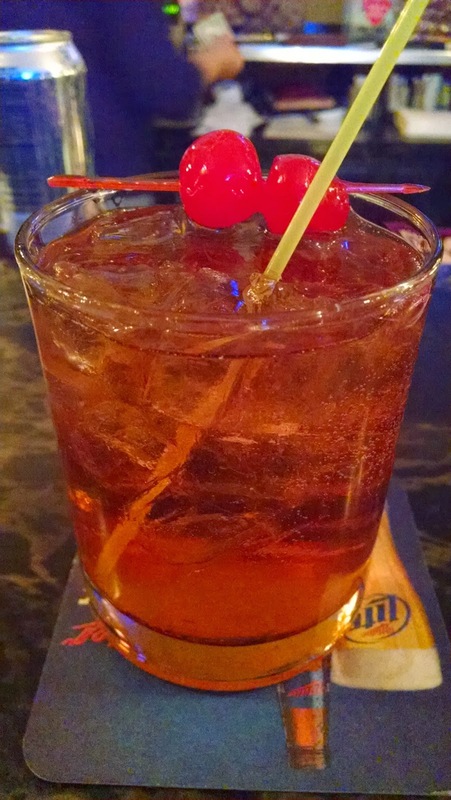 If you're on the East side of Green Bay on a Friday night, stop in for some great cocktails and an excellent perch fry. 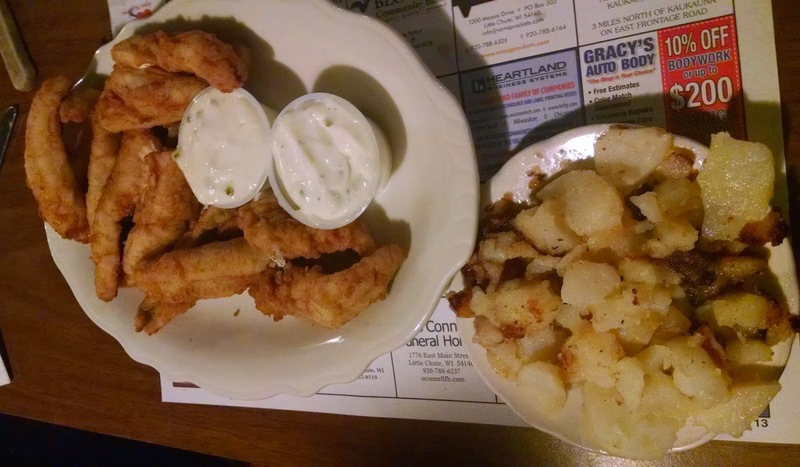 This is our 2nd visit to Farr's Grove and we enjoyed it, it definitely stays firmly in the #3 spot on our top 5 Classic Wisconsin Fish Fry's in North East Wisconsin. We got there sort of late, so plenty of seating was available at the bar as well as the dining room. We ordered our cocktails and drank one at the bar before we took a table. You can choose to eat at the bar too, but there was a high school football game on the big screen, and some of the patrons were not happy with the referees, so we wanted a quieter place to eat. We had our choice of seating, so we got another round of brandy old fashioneds and grabbed a table. Farr's Grove is more of a tavern, so no fancy seating or menu's, just good drinks and good food. Food options are listed on menus on the walls. I meant to take a picture of the menus, but forgot about it until after we left. I counted a total of 7 different menus for ordering food, one main one and 6 others posted on different beer brand signs. All listing basically the same things. We both got the same order, the Perch Plate with a side of fries. Food at Farr's Grove is served on paper plates, a common thing you'll find in taverns. The perch was delicious, they have a little thicker breading than most but we both enjoyed it. Fries were crispy and the coleslaw was good. The meal was served with rye bread, but I don't recall seeing any raw onion, although last time we were here it was. Great experience all around. Apparently Jerry Farr (I'm guessing the owner of Farr's Grove) has a thing for a Classic Wisconsin Fish Fry as you can see in the quote below found on shirts worn by all the waitstaff. I bought one for $20, just ask the waitress at the bar to pick out your size and favorite color. This is one of those things you'll only find in Wisconsin, LOVE IT! If you haven't been to Farr's Grove, you must go. Remember this is a tavern and the true roots of the Classic Wisconsin Fish Fry, so expect a very informal dining experience with great food. Take it from Jerry Farr that perch is a gift from god, and a delicious one at that. Classic Wisconsin Fish Fry Scale: 3 points out of 5, barely a Classic Wisconsin fish fry. We've been on a trend of revisiting fish fry establishments we dined at prior, this week was Mer & Jackie's 5 Corners Supper Club. Read the previous review on why its called that. What I didn't mention last time was Mer & Jackie's pictures are up on the wall, both dressed very nice. A throwback to the days of getting dressed up for a nice supper club experience. Obviously today, getting dressed up isn't the typical supper club experience. The specific reason for this visit was to celebrate the meeting of someone special in my life exactly 2 years ago. We decided to enjoy their Wednesday night buffet for our first date. Fast-forward 2 years and we had the chance to enjoy their Friday night fish fry experience on the same date of our meeting. It wasn't that busy when we arrived at 7:00pm. We took our seat at the bar, and we know the bartender Sandy. We each got a brandy old fashioned and toasted to our anniversary. Menus were presented, and we received #45 as our place in line to order. It didn't take long for #45 to be called out by the waitress taking orders. We raised our hand and she stopped over. I ordered the perch plate, 1 1/2 order because I was quite hungry. My date ordered the prime rib. We were told our table in the dining room and were welcome to help ourself to the salad bar. We found our table, dropped off our drinks and headed to the salad bar. I absolutely LOVE their croutons, they area seasoned with a secret recipe and fried, not baked! Yes, more fried food, but I tell you they will be the best croutons you'll ever have. I also tried their liver pate, but I found it lacking in texture and flavor. I remember last time their soup was cream of carrot, and this time they did as well, I chose to pass. A fresh baked loaf of white bread was waiting at our table when we returned. Our main entrees were delivered after we were done with our salads. The perch looked delicious. This was one of the best taking perch filets I've ever had, anywhere. Absolutely delicious! The side of potatoes was also very good, they were heavy on the butter, but really good. By the end of our meal, I was stuffed. The perch was so good I couldn't stop eating, even though I was full. We asked for doggy bags to take the perch and prime rib home to enjoy the next day. 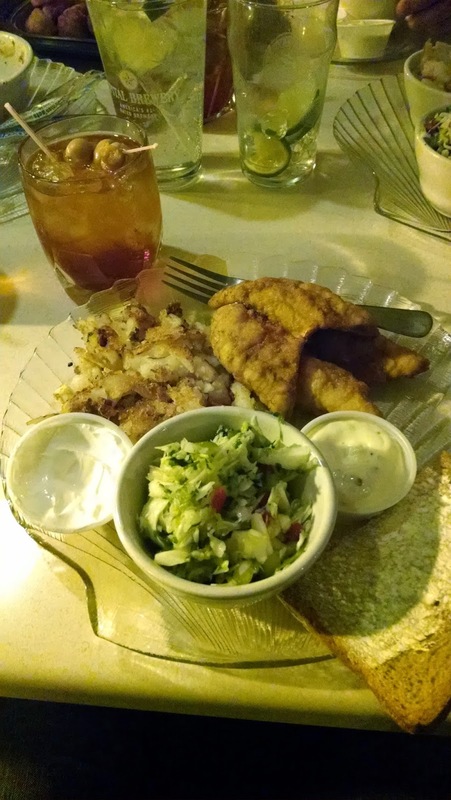 If you're in the mood for some of the best lake perch you'll probably ever taste, check out Mer & Jackie's 5 Corners Supper Club. It's in the country, at the intersection of 5 roads, you'll know it when you see it. Well worth the drive. We're back at River Street Pier for another fish fry, last time we enjoyed it and this time was no different. We got their pretty late, around 8:30pm, so there was plenty of seating available, and they served until 10:00pm. We got our table and the waitress took our drink order right away. Menus are available at the tables so we had time to look them over. 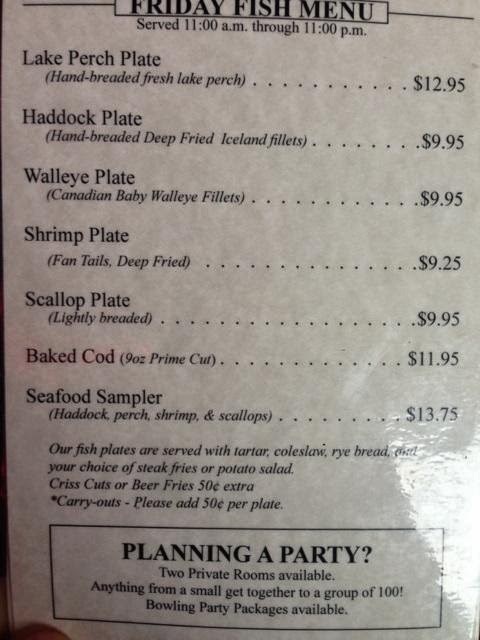 We all ordered the perch plates at market price. The perch was fried nicely and had a good flavor. I particularly love their delicious homemade potato salad, I remember it from last time and it tasted just as great this time. Cole slaw was fine, and the meal was topped off with rye bread with white raw onion. I came back because I remember it being good, and it was worth the return trip. Check out River Street Pier for a casual friday night fish fry in Green Bay. 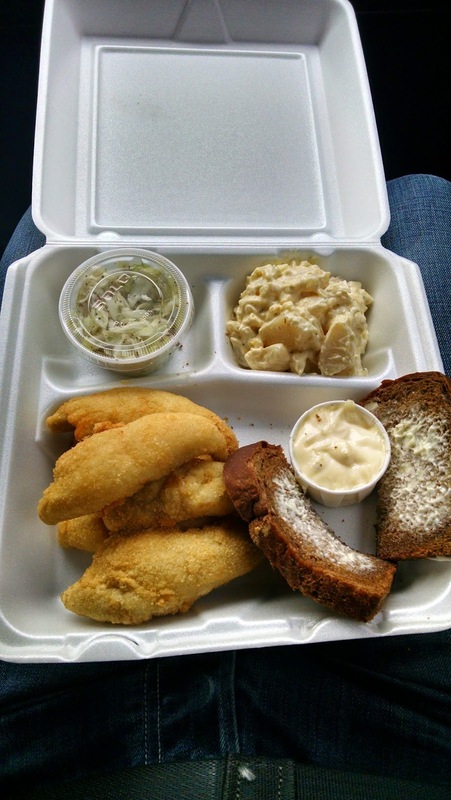 We were taking a family member out for his birthday and wanted a no hassle fish fry and settled on Kroll's West. Kroll's is famous for its location right by Lambeau field and its delicious grilled burgers, served with hearty portions of butter. If you haven't been to Kroll's, you have to check it out any day of the week. We arrived at 7:00pm and with just 3 in our party there was no wait for a table. The experience at Kroll's is like none other with it's unique seating arragnements at cozy circular booths or tables. When you're ready to order drinks or food, you just press the button and a waiter appears right away. It didn't seem to be that busy so a waiter asked us right away what we wanted to drink, brandy old fashioneds were on order of course. There is a bar area, but because immediate seating was available, we just ordered drinks at the table. Menus are placed at the center of each table so we took some time to look it over, and all decided on the fish fry. As we waited for our food, we also ordered a calamari strip basket which came with fries, coleslaw, and cocktail sauce. The menu said you won't be disappointed, and we definitely weren't. The calamari were meaty pieces and tasted delicious with the cole slaw and fries. Our food came out quick enough. The perch is listed on the menu as hand battered and golden broasted, and was unlike any other perch I had tasted. The breading may look a little thick but with their preparation style, it was fantastic. For my sides I got the potato salad, which I thought was just ok, and the cole slaw, again just ok. Kroll's is known for their famous whipped potatoes, and we got to try them. I thought they were pretty good. The meal was topped off with a slice of rye bread, but no raw onion. I'll finish off this review with my thoughts on the service. The service was excellent and pretty much the best service I've seen anywhere, and almost to a fault. As I mentioned earlier in this post, and as those who have been to Kroll's know, you push the button for service. But since it wasn't very busy, waiters were always walking around asking how everything is and if we needed anything. At one point, we were asked 5 times in less than 5 minutes by 5 different waiters. As annoying as this sounds, it wasn't annoying at all and it is a testament to Kroll's excellent service and great food. 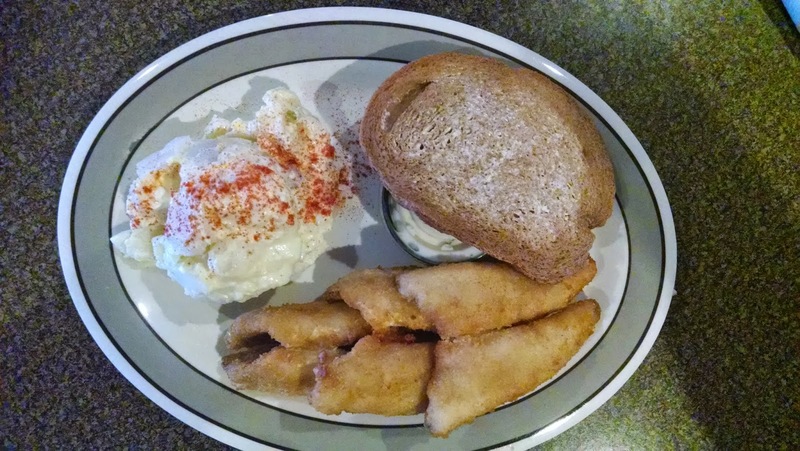 If you're looking to experience a part of Green Bay history in a unique dining establishment with excellent service and great food, check out Kroll's for a fish fry. Or any day of the week to enjoy all their delicious food choices. It's very family friendly so bring the whole family for a low key dining experience. Classic Wisconsin Fish Fry Scale: 3.5 points out of 5, barely a Classic Wisconsin fish fry. There was just myself and a friend dining tonight, and he lives in Appleton so I thought it was time to venture to the Appleton area again. If you look at the map of where we've been, I favor the Green Bay area over Appleton but I'm trying to balance that out more. We arrived around 5:30pm and they had immediate seating. We were given menus and found a seat at the bar to order our brandy old fashioneds. The drinks were made pretty basic, no muddling and tasted alright. Our waitress, Kim, took our order at the bar and invited us to sit at table 18 when we were ready. The salad bar was included with our meal so we found our table to drop our drinks off and headed to fill our plates. The options were fresh and presented nicely; it was also early in the evening so not many people picked it over yet. My favorite part about a supper club is the liver pate, but their offering was nothing special and didn't have much of any flavor to it. We enjoyed our salads and our food was eventually delivered. My friend got the deep fried haddock with french fries and he said it was pretty good. I got the perch platter with their homemade hash browns. The perch was nicely done and the breading was just about right. The hash browns were crisp and pretty good, and they were definitely homemade. They were a skosh heavy on the butter though. 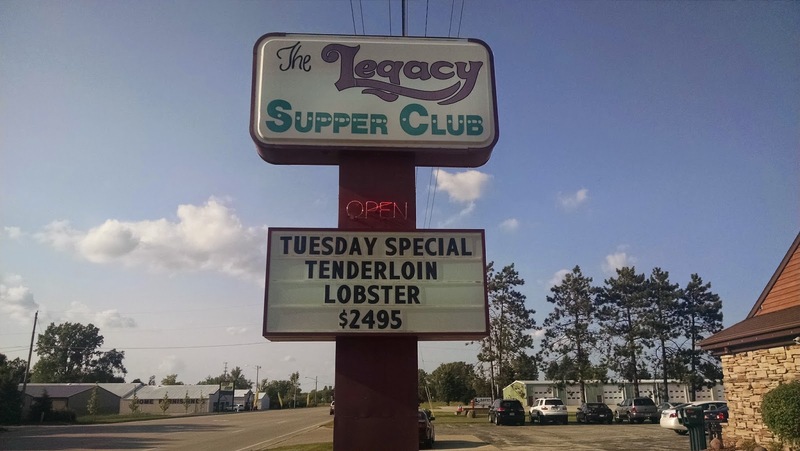 I like Supper Clubs, and The Legacy does a fine job. 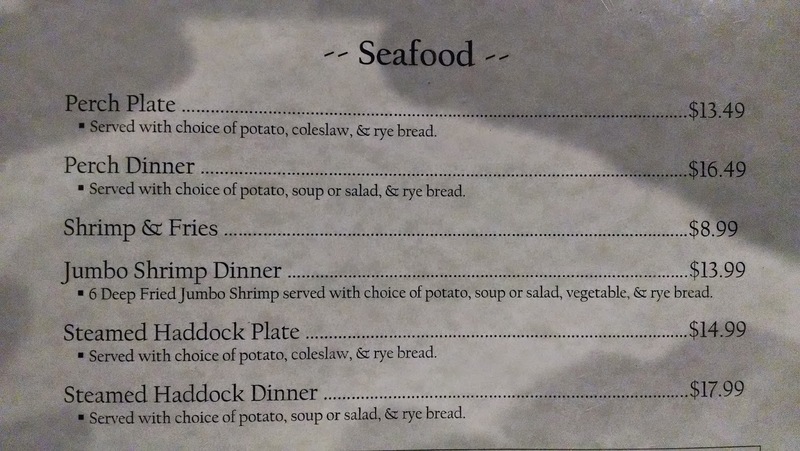 I personally would enjoy a perch platter at a Supper Club to make the salad bar an extra option, but include all the components of the fish fry on the plate served at the table. The perch and hash browns look lonely without their accompaniments of cole slaw and rye bread. 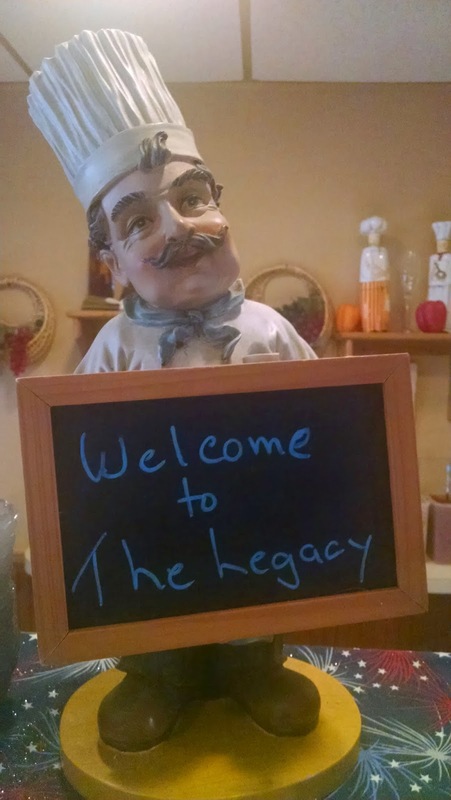 The Legacy Supper Club has a long standing reputation as a local favorite, and I enjoy coming here from time to time. They offer more the traditional supper club than a classic Wisconsin fish fry, but it has something for everyone and the food is worth a visit. Just head North of Hwy 41 on Hwy 47 and stop in for your next visit. Classic Wisconsin Fish Fry Scale: 4.5 points out of 5, a Classic Wisconsin fish fry. Looking for a new place to check out a fish fry, we came across Gipper's on University Avenue in Green Bay. We had 8 people getting together so we wanted something that wouldn't be packed, but still offered a decent fish fry. When we arrived at 7:00pm, the bar area was quite busy. We eventually figured out most people were there for cocktails, and there was a decent size bachellorette party. To be clear, Gipper's is a sports bar & grill, they have a large dining area, but it is still a sports bar. Lot of Green Bay Packer memorabilia, and there is apparently a back story to the bar's namesake. All our friends had not yet arrived, so I went to the hostess station to put our name in for a table. It took about 2 or 3 minutes for someone to notice I was standing there, and I asked if we could get a table for 8. The hostess gave me a funny look and said "...we don't have room for 8". I then had to ask not at all or could we put our name in for a table, she then said she can write our name down. It was just an odd experience and I wasn't expecting immediate seating, but wanted to get our name in just in case it was busy by there standards. 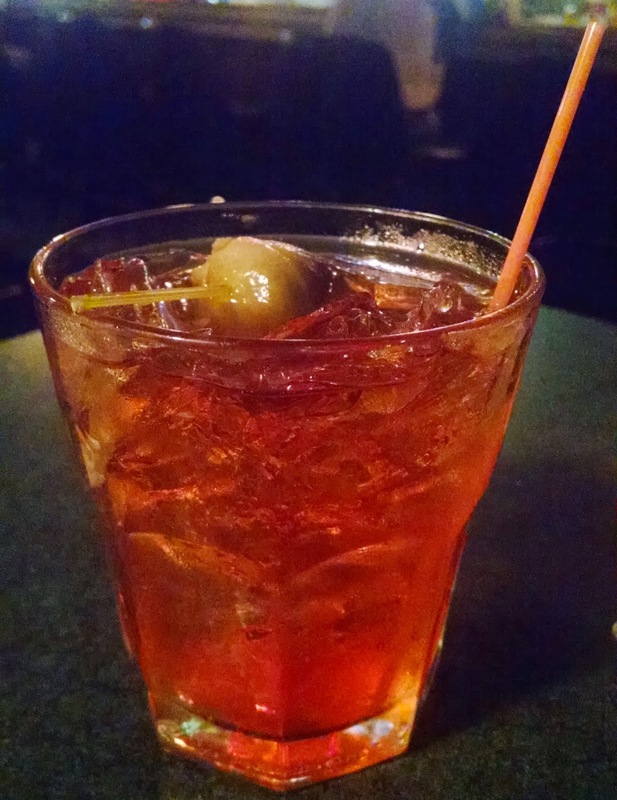 With our name in for a table, I went back to the bar and continued drinking the brandy old fashioneds, they were ok. Not 5 minutes passed, and the bartender said our table was ready. 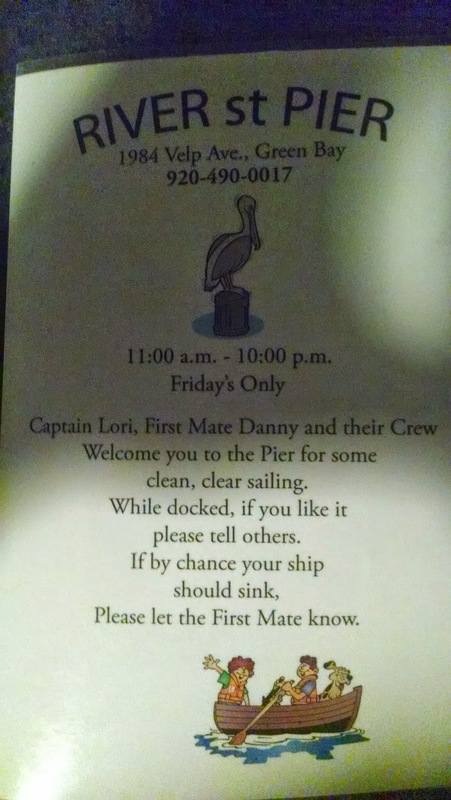 We had to tell them our full party hadn't arrived yet. We put in an order for some appetizers as we waited for everyone, and as we socialized at the bar, our soon to be waitress and a guy behind the bar kept staring at us. I guess we were inconveniencing everybody by not taking our table in a mostly empty dining room when called. In fairness, it is not considered good practice to not be ready with your whole party when your name is called, so I take some blame for that too. So instead of being stared down, we decided to take our table in the dining room and have our appetizers served there. I tried to find a waitress or hostess or somebody to help us find our table, but that took another 2 to 3 minutes. I was a bit disappointed to find that we were sat up in the bar area on a pub table with just barely enough room for all 8 of us. I asked why we didn't get seated in the back dining room which was your typical table seating, and the waitress said it was full back there, but in looking back there, it was barely half full. The appetizers were delivered; we got stuffed mushroom caps, cheese curds, and santa fe rolls. The stuffed mushroom caps were pretty good actually, and I think they were homemade and not prepackaged. The cheese curds and santa fe wraps were good, but a bit greasy, but then again this is a bar & grill. We had to flag our waitress down when we wanted drinks, she didn't seem to ask us. But she at least delivered us menus so we could decide what to order. 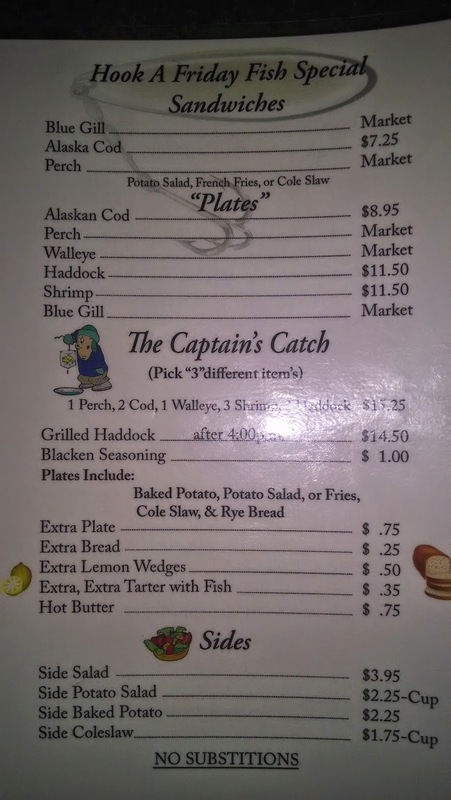 I opted for the fresh bay perch, some people got the seafood platter, beer battered haddock, and pan fried walleye. 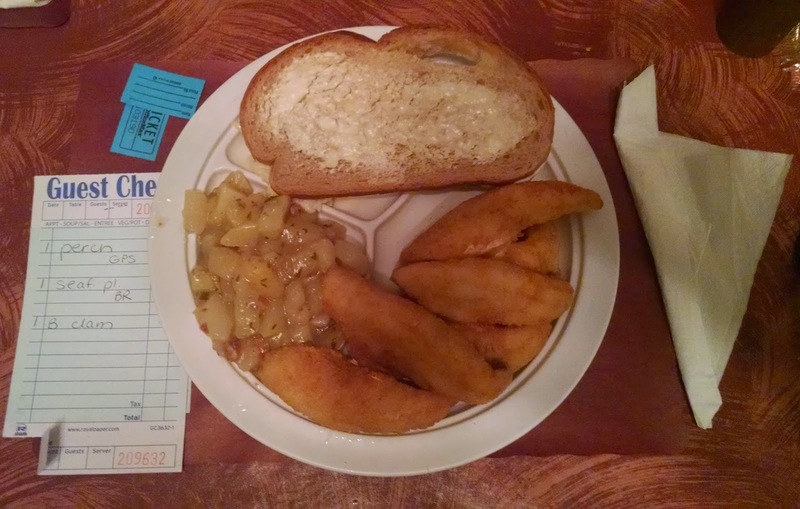 I noticed the perch aws served with baked beans, this is not as common, but apparently it has some traditional place in the Classic Wisconsin Fish Fry. The perch was very crispy and I actually enjoyed it, it had a good flavor with moderate breading. It may have been a touch heavy on the greasiness, but it was very good. The tartar sauce was very runny and sweet, I enjoyed the flavor, but I'm not sure about the consistency though. The potato salad was not good, I don't know if it was old or just a bad batch, but I would not recommend it. The cole slaw was alright. The baked beans were good, and they were cooked quite a while, just the way I like them. The rye bread was soaked with butter, but it did have some raw onion on top of it, so I was happy. So Gipper's is a sports bar & grill, a place to get some greasy bar food, but some of it was actually good. The service needs improvement, maybe that is why the place wasn't that busy in the dining rooms. 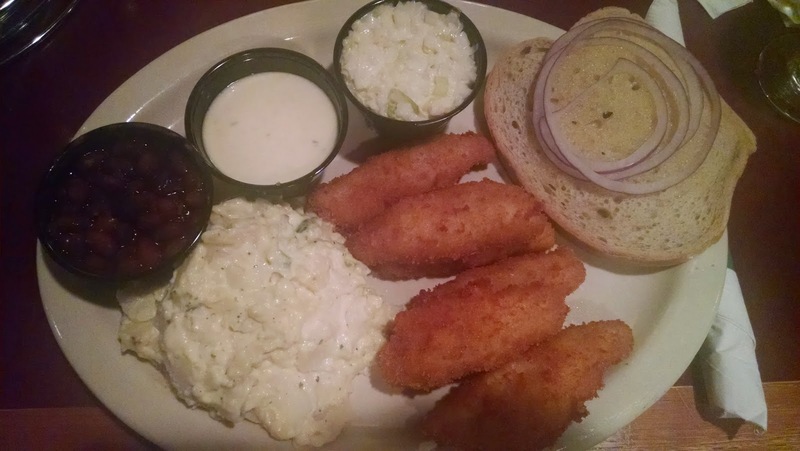 It is a Classic Wisconsin Fish Fry, so look past the bad service, don't order the potato salad, and the rest will be good. We didn't have time to go out for dinner, so we decided for take out at the American Legion in Wrightstown. I've been here for their steak fry, which is held the last Wednesday of each month, and that is great. Take outs are picked up at the check in desk to the right when you walk into the legion. All take out orders are packaged neatly into brown paper bags, ready for pickup by patrons. I paid for our order and walked out with my package. We had to eat on the road because we had a party to attend. My only complaint about the experience is no silverware, but I suppose getting take out is meant to be eaten at home, not on the move in a vehicle. The perch was delicious, with the breading being just about perfect, only slightly heavy. I opted for the potato salad as my side, and that too tasted great, I'm pretty sure it was homemade. The coleslaw was good, and the meal was served with rye bread buttered and sandwiched together, but no raw onion. The tartar sauce was possibly homemade, but was a bit heavy on the mayonnaise. 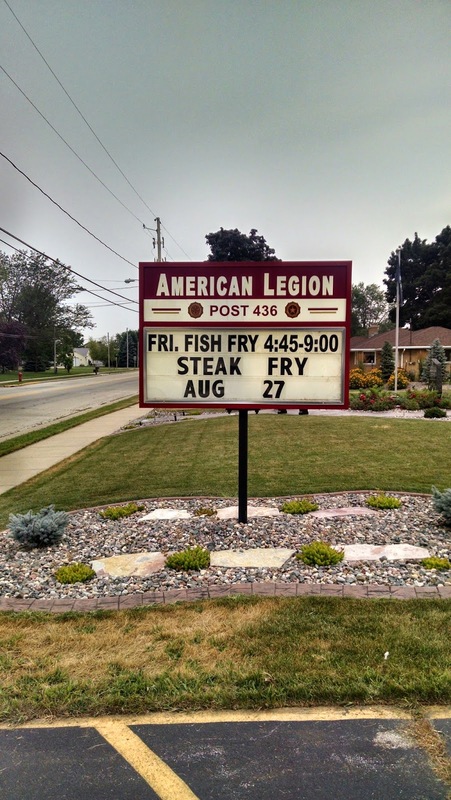 The American Legion in Wrightstown is a Friday Night Fish Fry hangout in my hometown, and I finally had the opportunity to give it a try and was not disappointed. 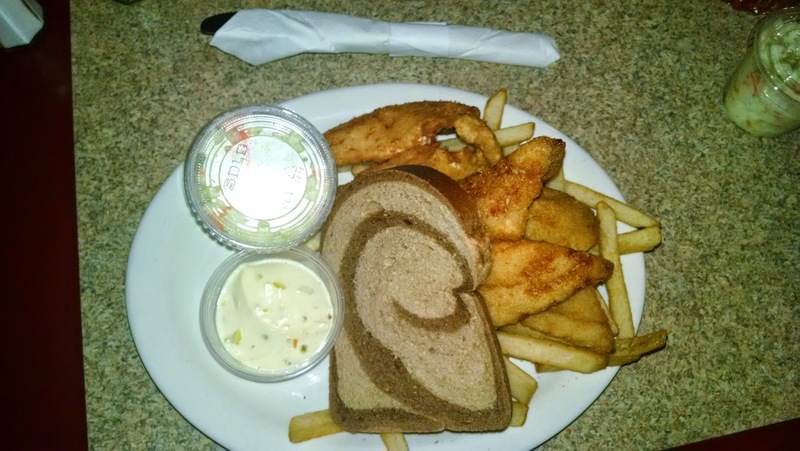 The dine in experience feels dated and very informal, but that's probably what people love about their classic Wisconsin Fish Fry. 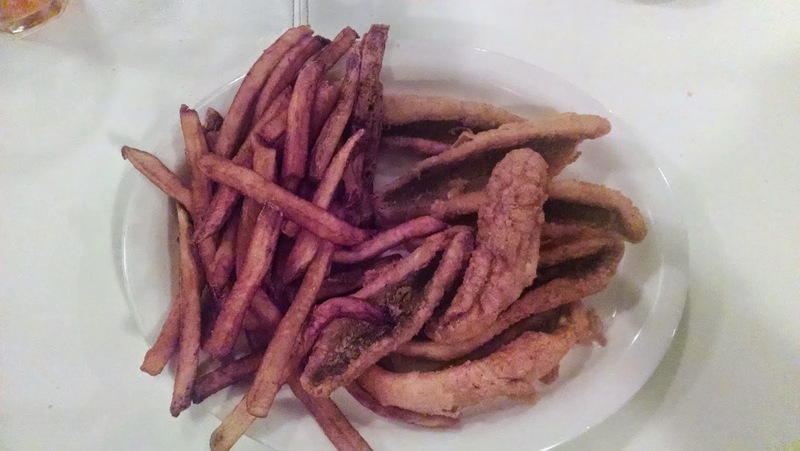 Classic Wisconsin Fish Fry Scale: 5 points out of 5, a Classic Wisconsin fish fry! Host your own fish fry? Why not. Family members thought it would be a great idea to host their own Friday night fish fry instead of venturing out. They had some perch in the freezer they caught themselves, but bought some additional perch to make sure they had enough. I made the hand-muddled brandy old fashioneds, because what is a fish fry without a hand-crafted cocktail? The perch was fried golden brown, and was crunchy and delicious. The perch they caught were fairly small, as "real" perch is, and the perch they bought was much larger, but still tasty. With the perch was served homemade thick cut french fries, and some potato salad I bought from the store (gasp!). I also bought the cole slaw from the store too. We only learned about the perch fry last minute, so I didn't have time to prepare anything homemade (except the cocktails). To top it all off, I got some rye bread and slathered it with butter and cut it in half, then sandwiced white raw sliced onion between the two pieces of bread, delicious! Why not host your own fish fry this Friday? This week we headed to the Rite Place in the Green Bay/Allouez area. I had never heard of this place before our friends recommended it, but they know it very well and it's been around for decades. We arrived at 7:30pm, and there were to be 6 in our party. On the left side of the building is the bar and seating area, and a pub table was available right away with no wait. On the right side of the building is the supper club area, but we decided for the casual atmosphere. We ordered our brandy old fashioneds and appetizers of mozarella sticks, cauliflower buds, and mushrooms. They came in a reasonable amount of time and were a good appetizer before our meal. One of our friends used to work at The Rite Place years ago, and he knew our waiter as the youngest son of the Van Rite family. It's great that this is still a family owned and run business, and they do a great job at it. With most of the entrees came a soup or salad, and they serve their own homemade Booyah. If you don't know what Booyah is, you are probably not from Wisconsin. You can find out more about Booyah here, or attend a summer church or fireman's picnic and you'll find out what it's all about and why it is so delicious. 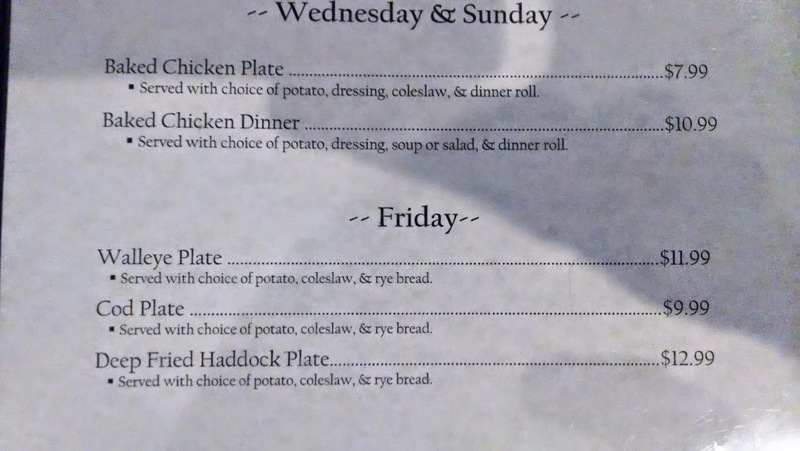 The menu was a tad confusing because if you look under Friday specials you don't see any mention of perch. But when you look under Seafood, there it is. 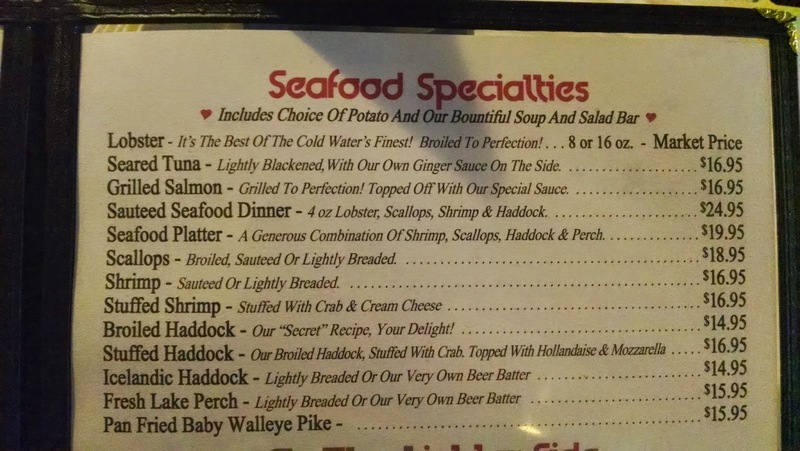 They must offer perch every day then, and only the Walleye, Cod, and Fried Haddock on Fridays. We all know what I ordered. Some of our friends got the steamed cod, which was terrific. My plate came and was laid out nicely. I got 3 full perch filets, which were fried nicely and the breading was good, maybe a touch heavy, but still delicious. The potato salad was homemade and was tasty. No coleslaw was served with the Perch Dinner because it comes with choice of soup or salad. My meal was topped off with a slice of buttered rye bread but no white raw onion. The Rite Place is a family owned and run establishment that has been around for decades. If you're looking for a casual fish fry, or a supper club experience, they offer both and do it well. I'll be back again to dine, it was great all around! Did I just read that right? Brandy Old Fashioned Cupcakes? I need to get myself some. I was catching up on the Old Fashioned Oshkosh Blog and saw her review. These are made by Tamara - The Cake Guru based in Oshkosh, WI. She is at the Fox River Mall on Friday - Sunday so a easier drive for me from the Fox Valley than going all the way to Oshkosh. When I try one, I'll let you know how it is...I can't wait! Also check out her on Facebook. 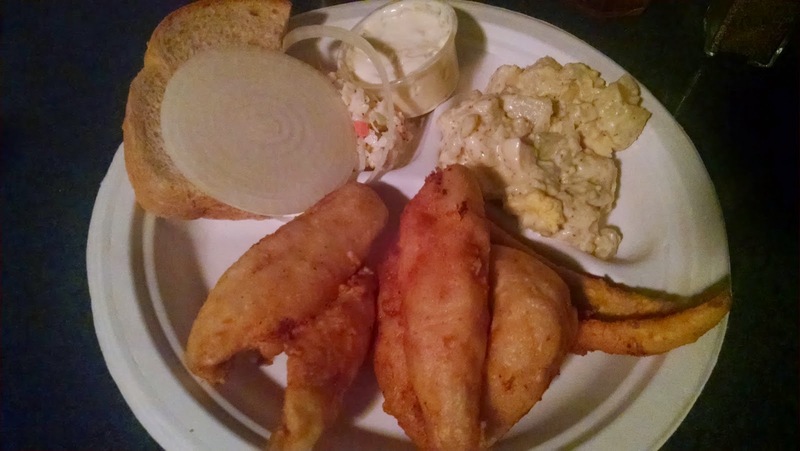 Our friend hosted a Classic Wisconsin Fish Fry dinner party a few weeks ago. She ordered fresh Lake Michigan perch from Seaway Foods on Velp Ave in Green Bay. She went through the work of peeling and prepping potatoes and sweet potatoes to make homemade fries. We brought rye bread with white raw onion and the components of a hand muddled brandy old fashioned. Everything turned out delicious! 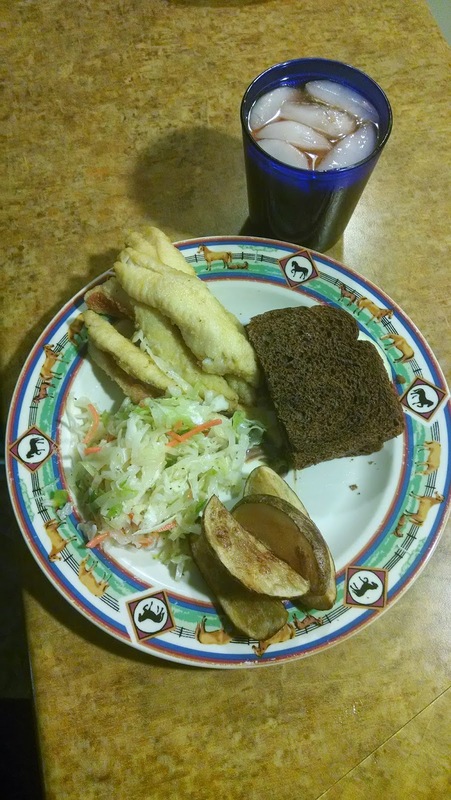 The perch was perfectly fried and breaded, the homemade fries were crispy, hot, and delicious, the cole slaw and rye bread with white raw onion were excellent. And the hand muddle brandy old fashioneds brought the whole experience together. We couldn't have asked for a better gathering of great friends and great food while enjoying some brandy old fashioneds. If you're looking for the perfect Classic Wisconsin Fish Fry just the way you like it, why not host your own Classic Wisconsin Fish Fry dinner party? We're back again at Little Chicago for another fish fry based on a recommendation from a friend on Facebook, it was also halfway between us and our friends. I was excited to give this place a 2nd try because I really liked it the first time. Little Chicago is a supper club. I've found that new to the scene supper clubs just don't hit the mark but ones that have been around for decades know how to be a supper club. Little Chicago is newer to the scene, but they know how to be a supper club. We arrived after our friends, so they had a spot saved for us at the bar. Bar service was prompt and we ordered our brandy old fashioneds. While the drink wasn't muddled, it had a good balance of flavors and the presentation was nicely done. The bar area is very large, and it accommodates the large crowds they draw on Friday nights so seating and space to talk and enjoy your drinks is ample. We sat and talked at the bar until our table was announced over the speaker system. We checked in with the host and were given our table number. I thought it was a nice touch he told us our waitresses name was Connie. Connie stopped by soon after we were seated and we ordered another round of drinks and looked over the menu. Little Chicago has an excellent selection of supper club favorites including steaks and many seafood specialities. We all know what I'm ordering! The waitress invited us to enjoy the salad bar as we waited for our food. As we filled our plates she brought out fresh baked bread and our drinks. The salad bar had some decent offerings and two soups. It was a typical salad bar you would find at most supper clubs. I was disappointed with the liver pate, it was chunky and didn't have a good flavor, but the rest was good. After we cleared our plates from the salad bar, our food was delivered. 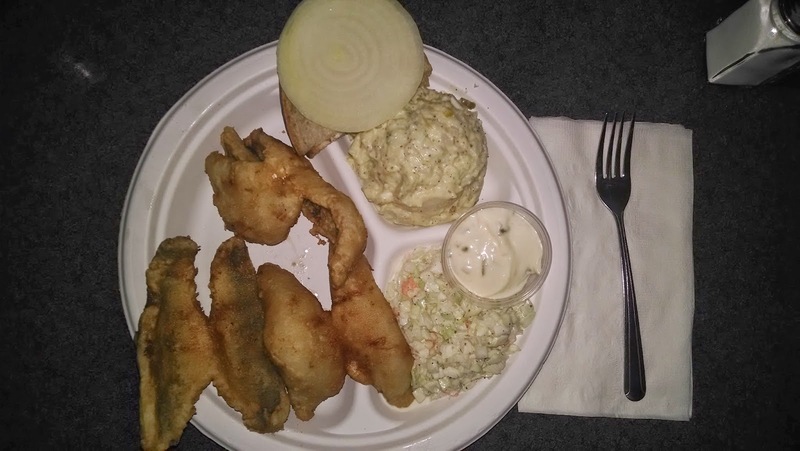 The presentation was simple, and this is my main complaint about fish fry's at supper clubs; cole slaw is not served with the meal but on the salad bar, and it leaves the plate with a rather dull and simple presentation because it only has the fish and potato on it. Little Chicago offers lightly breaded or their very own beer batter, last time I chose the beer batter which was delicious but a bit heavy and this time I chose the lightly breaded. The breading was about perfect, the fish was cooked excellent, and it had a good crunch to it. The homemade fries I absolutely love and I would definitely recommend them. After dinner we went to the bar and ordered some ice cream drinks, we got two brandy alexanders and two grasshoppers. A supper club dining experience is not complete without the after dinner drinks and should be consumed at the bar, not at your table, its just the supper club etiquette. It was great to dine with good friends and make new ones, we had a great time! Little Chicago was a great experience last time and was once again a great experience. If you can't decide on whether you want a supper club or a fish fry, they do both really well. 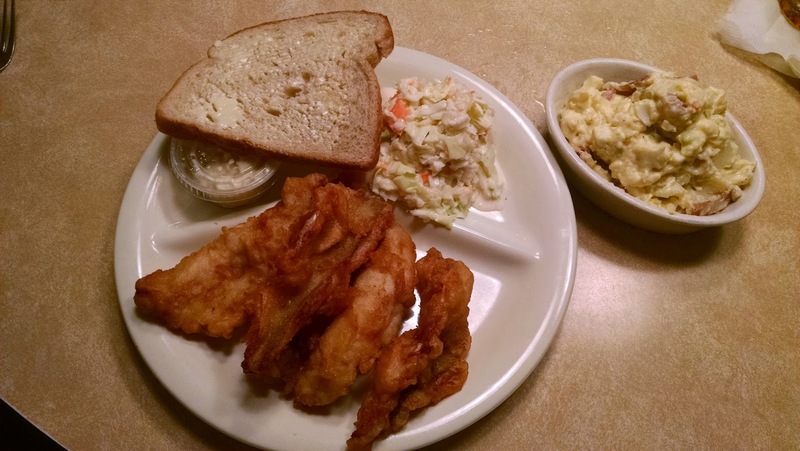 While I consider this barely a Classic Wisconsin Fish Fry, you still must check it out. They also have an excellent Sunday brunch, but be prepared to wait with a few bloody mary's, because this place is popular! Food: Really good, especially the baked cod! It's been a while since we went out for a fish fry. I got a call from my sister asking if I wanted to go for fish, and I said yes. It was going to be my sister, her husband, and 2 of their 3 daughters. Before long, it turned into a family outing with most of my family and nieces, a total of 11 of us, plus some of my mom's friends who meet weekly at Verbeten's. We arrived at various times and we sat on the side where the pub tables are so we were seated at different tables, by our choice. But we socialized back and forth as we enjoyed our brandy old fashioneds and other cocktails. This is more of a local bar than it is a large dining establishment. There are several tables on the other side of the bar so some decent amount of seating is available. When we were ready to order, we had to ask a few times to have our order taken. We were a bit chaotic ourselves having such a large group commandeering the one side of the bar, so I can understand the lack of urgency. Eventually our order was taken and we awaited our food. Verbeten's is more of a bar than a big dining establishment, so the kitchen is small and it looks like they get a lot of take out orders. We waited a while for our food, which wasn't too surprising. Some of us got our food about 20 minutes before the others, we were told the reason was that baked cod takes longer and there were several orders of it to prepare. Our food did arrive nonetheless, and it was presented on a paper plate with the fish stacked on top of the fries, and our fork sticking out of the coleslaw. I loved the presentation! It's a no frills fish fry and the focus is on the food, not a fancy presentation. But I have to say, the presentation was well done and a little whimsical with the fork in the coleslaw. With the Lake Perch Plate, I got 3 full golden fried perch. The breading was a tad thick but it was cooked nicely and had a good flavor, I was very pleased. I got the criss cut fries which I love, and these didn't disappoint. Some of my family got the beer battered fries, a thick cut french fry coated in a beer batter and fried, they tasted great. The fish and fries were served with a side of coleslaw, which was good, a standard cole slaw I would say. And of course tartar sauce for the perch and two pieces of rye bread with butter sandwiced between them, but no white raw onion. A special mention that the baked cod was absolutely delicious! They know how to cook it to perfection, and it does take a bit longer than the perch, but well worth the wait! Probably the best baked cod I've had anywhere. Sure the service could be better, but that's not what makes this place a good place for a fish fry. 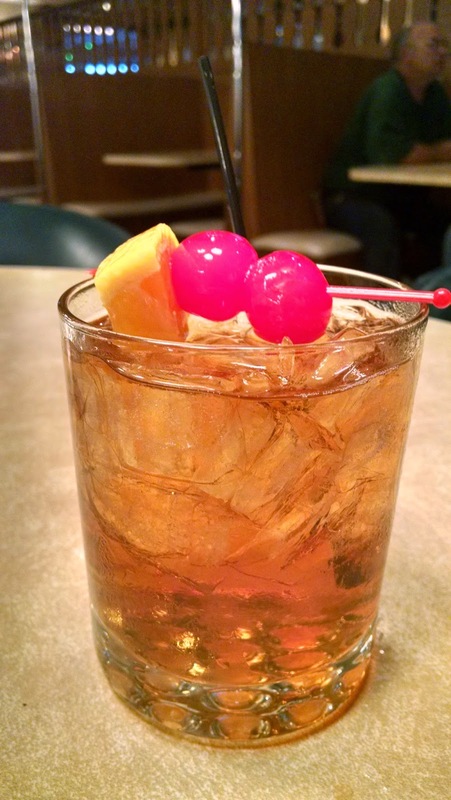 If you're looking for a casual evening of drinks and socializing, and a no frills fish fry, check out Verbeten's Bar Bowl & Grill in Kaukauna. 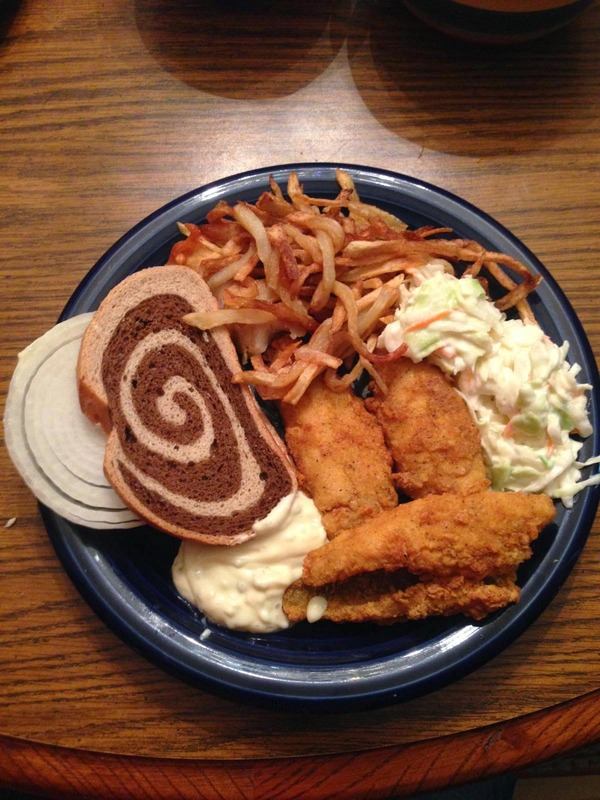 This is what the Classic Wisconsin Fish Fry is all about. 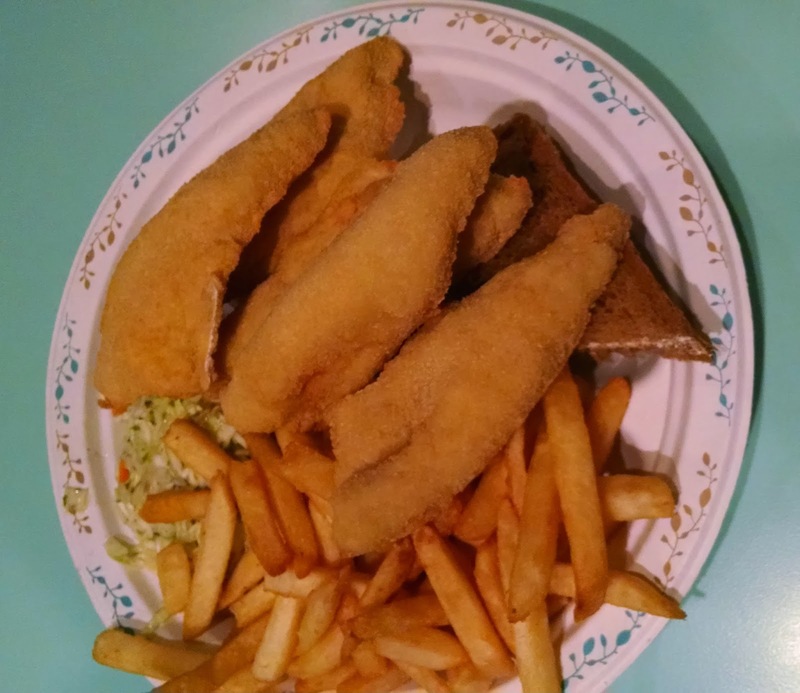 We are about half-way through lent and Wisconsin fish fry's on Friday nights are a busy place. We weren't looking for a long night so wanted something local with a good fish fry and cocktails without the hour wait. Our friend recomended a few options and we settled on River Street Pier, a small place on Velp Ave along the river. We arrived around 7:00pm to be at the tail end of the busy time and were pleased to find only a 20 minute wait. We were driving to River Street Pier and almost missed it because it looks like a house with a parking lot, but with the address we found it just fine. The decor is interesting, its sort of what you'd expect from a restaurant being on the river with a fish theme. Fishing nets were hanging all over, fishing gear hung around the room and hung on walls, I expect places like this are more tourist traps, but this was in Green Bay and definitely not a tourist trap, it was anything but. We found some room at the bar to sneak in and order some cocktails. The brandy old fashioneds were not muddled but were good, about what you'd expect out of my typical cocktail. We found a place near the bar to perch and sip our cocktails, the concept was one large room with the bar on one side and pub style seating neatly laid out in the rest of the room. The host and bartenders were chatty and casual, which I love about small local places. After about 20 minutes our table was ready. We sat down and were immediately greeted by our friendly waitress. She made sure we had drinks and answered some questions from the menu. We asked her recommendations and she said the bluegill and walleye were excellent, and recommended the homemade potato salad. In short enough time, our food was served up on paper plates. The fish was lightly breaded and just about perfectly cooked. The potato salad was excellent as out waitress had recommended. The coleslaw side was alright, don't think it was homemade or anything special but it was good enough. The meal was topped off with light rye bread and of course the white raw onion. 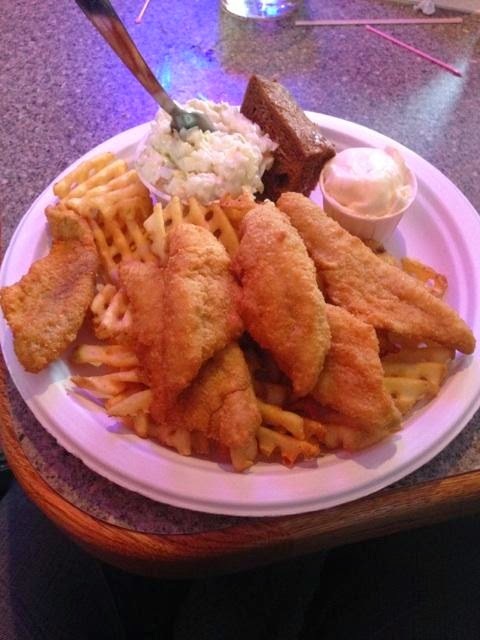 If you're looking for a small, local Classic Wisconsin Fish Fry, River Street Pier is a sure bet. You'll enjoy everything from the waitstaff to the food, all served up on unpretentious paper plates. What is not to love? 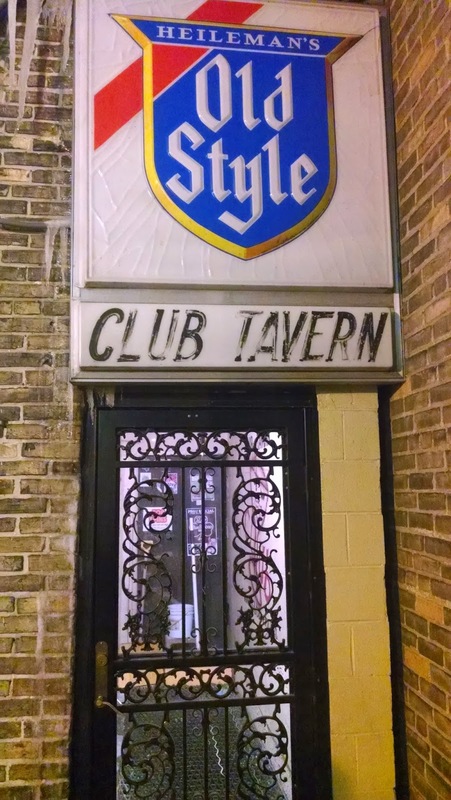 We had a few birthdays to celebrate, and one of the celebrants recommended a hole in the wall in Menasha, Club Tavern. When we arrived, our friends were already there enjoying their brandy old fashioneds at one of the two pub tables. There isn't much seating available in Club Tavern, and I was surprised it wasn't busier for the first Friday of Lent. But we did get there at 7:30pm, so it was starting to slow down. The bar itself was full of people so I had to squeeze in to get a round of drinks. The bar had a really old feel to it, but I saw the bartenders making all sorts of cocktails and noticed they knew what they were doing; they knew how to properly make the perfect martini. Once we had a drink, the waitress came back to take our food order. We asked if she could get us a round of drinks at our table and she said all drink orders must be taken at the bar. We enjoyed a few more round of drinks until our food arrived. The presentation was, shall we say interesting. The serving plates were glass, my perch plate was served on a clamshell style, and our friends who got the seafood platter were served on a large fish shaped plate. Not something I've ever seen before, but it was unique. The food looked and smelled delicious. The perch was golden brown, fried to perfection, the perfect amount of breading and tasted awesome. Next up were the potatoes, of which I got the American Fries. I could tell they were 100% homemade, a fried up serving of crispy delicious American Fries, I haven't had any better anywhere else, absolutely delicious! The cole slaw was a vinegar base and you could tell it was also homemade, it had a great flavor, perfect mix of chunky grated cabbage, brocolli, and other vegetables, again delicious. On the side of my plate was the rye bread, a well buttered slice of light rye, but no white raw onion. 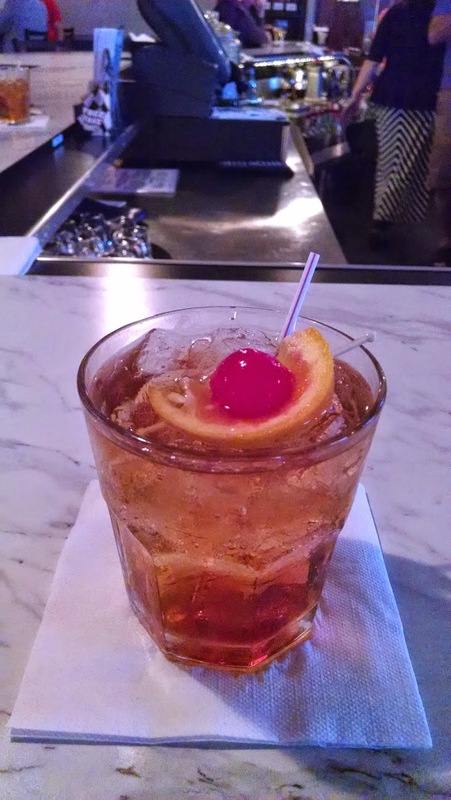 For those who enjoy a mixed cocktail by bartenders who know how to mix a cocktail, or if you're a craft beer aficionado, Club Tavern has what you're looking for. 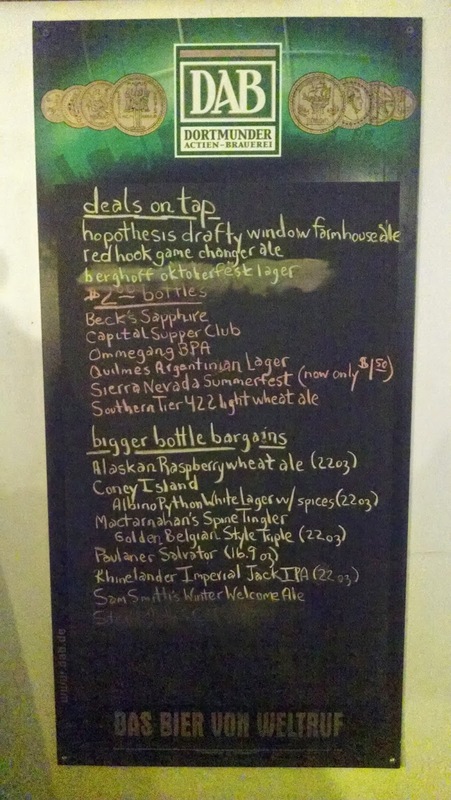 There was an extensive beer list on the wall of many of your favorite beers, and plenty on tap too. I'm sure anyone can find something they like here. We don't often get to Menasha, and I certainly would have never went to Club Tavern on my own were it not for our friend recommending it to us. Check this place out, it is worth your visit! 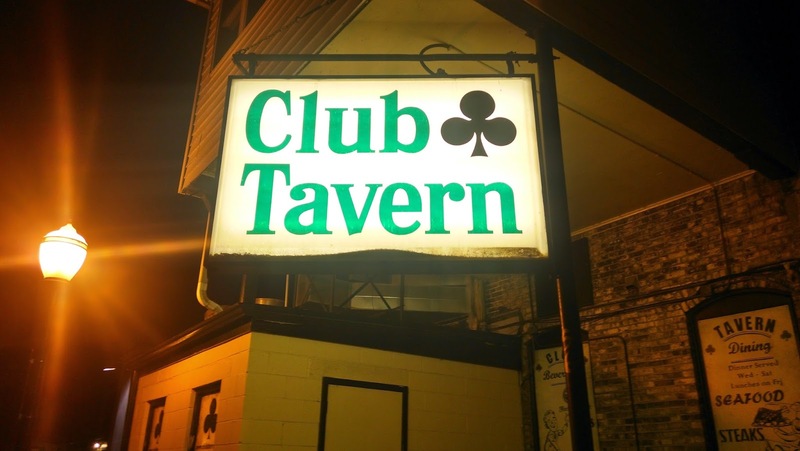 We'll definitely be back to Club Tavern again, and might even explore the other fish fry's in the area. Maybe there is hope for Menasha after all, at least for a good Classic Wisconsin Fish Fry!